Tennis comes with its own charm and essence to millions of its fans across the globe and this could well be the reason, why this sport has been showered with so much and appreciation around the world. While we are talking about Tennis and its huge fan base around, Australian Open is one of the most famous tennis tournaments being held in the city of Melbourne every year. Moreover, this Tournament is one of the four grand slams in the World of tennis and first held in the year 1905. Quite interestingly, the tournament was first played on a Cricket Ground in Melbourne in 1905 and Used to be famous by the name, Australasian Championship, which further became the Australian Championship in 1927. Since its inception in 1905, the Tournament has been majorly played around 8 famous cities around Australia and New zealand namely Melbourne, Sydney, Adelaide, Brisbane, Perth (All Australian Cities) and Christchurch and Hastings ( New Zealand cities).However, in 1972, it was being decided that the Tournament will be held in the city of Melbourne only as its attracts maximum crowd amongst rest of the stadiums and also provide all the required facilities for the Sport and the players involved. 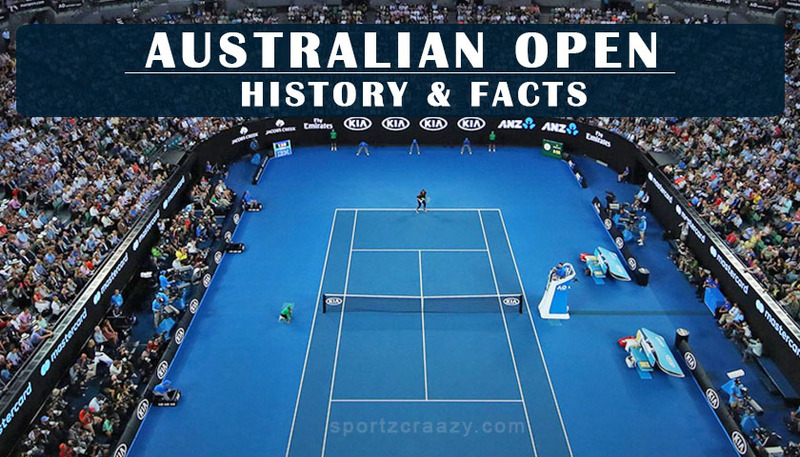 Australian open is the Youngest sibling amongst the rest of the three Grand slams across the globe as each of them were established before the Australian open came into Existence. The Wimbledon was first held in 1877, while the U.S Open came into existence in 1881 and the French Open in 1891. Not many people know this but the first match of the Australian open was played on a Cricket field named WareHousemen’s Cricket Ground. The same field has now been turned into a a Tennis centre with the name Reserve Tennis Centre. 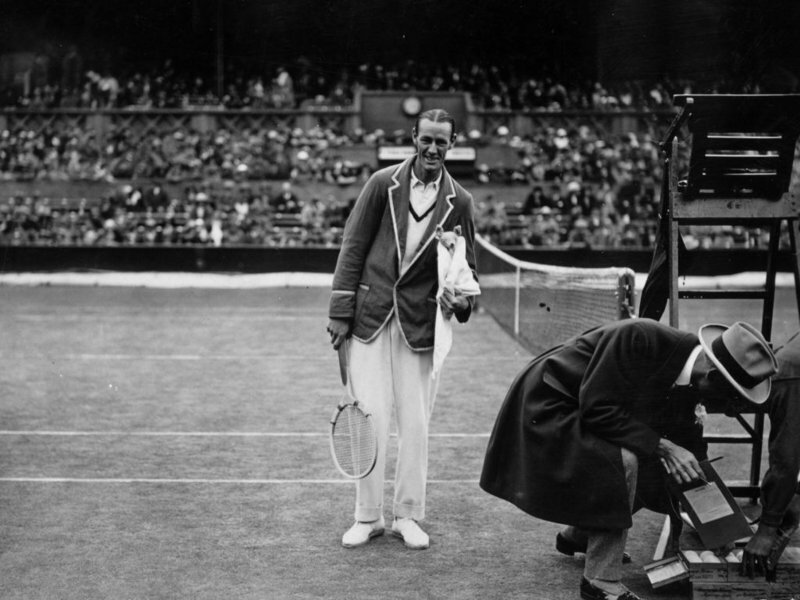 Quite surprisingly, this was the only Tennis Tournament where a Tennis player named Ken Rosewell became both the Youngest and oldest player to win the Championship. Ken won the Australian championship at a young age of 18 in 1953 and also went on to win the title in 1972 at an age of 1972. The Australian Open Final between Rafael Nadal and Novak Djokovic lasted for around 5 hours and this was by far the longest game ever in the Championship’s History. While the game was also the longest ever game played in the Championship’s history lasting over 5 hours, it was till date the best match in the Tournament’s history as well. 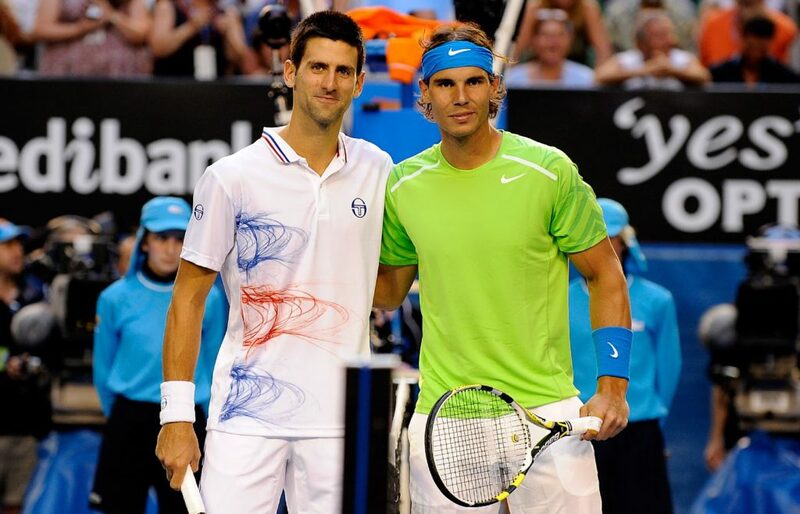 Eventually Djokovic emerged victorious after defeating Nadal 5–7, 6–4, 6–2, 6–7 (5–7), 7–5 to claim the trophy but both of them agreed to the fact that the match was surely the best and most hardest match of their entire Tennis careers. The Quarter final match between the American Legend Pete Sampras and Jim Courier would always be remembered as one of the most emotional bound matches in the entire history of the Championship. While Sampras was been able to claim the victory by Defeating Courier 6-7 (4-7), 6-7 (3-7), 6-3, 6-4, 6-3 , it was his Emotional breakdown during the match, which was the highlight of the match. Pete Sampras suddenly started crying during the match and while most of the people didn’t have an idea about the same, it was due to Sampras close friend and coach Tim Gullikson diagnose with cancer which made Sampras go emotional during the match. if we have to name one player who has made it big in the Tennis world with all his skills and magnificent performances, it has to be Roger Federer from Switzerland. Federer has won the Title six times and he was also the winner of this year’s Men’s singles event. 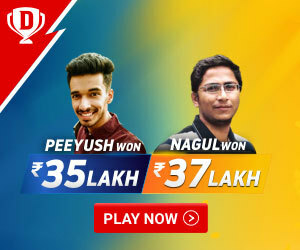 Though the Coveted player is getting Age bound with every day passing, his recent form along with the perfect fitness even at this age makes him a clear favorite of millions of fans around the world. He is another Tennis legend from Serbia, Novak Djokovic, who has also won the Australian Open six times during his tennis career. While being one of the most celebrated players in the history of the World tennis, He also holds the record for most Consecutive Titles win during the year 2011-2013. It was during the Late 60s, when the Tournament wasn’t accessible for the rest of the world’s players due to its remote location and was mostly involved with players from New zealand and other nearby countries. Before the tournament entered into an Open Era, Roy Emerson was the only player who claimed the title six times and still holds the record for five consecutive title wins from 1963-67. While The Next edition of the Australian open will be again played in January in Melbourne Australia and it will be too early to predict the winners for the Titles, let’s take a look around at the players with the biggest probabilities of a title victory in the upcoming season. Talking about the Men’s event, Recent US open Winner Novak Djokovic can certainly be quoted as the biggest favorite for the 2019 Australian open title. 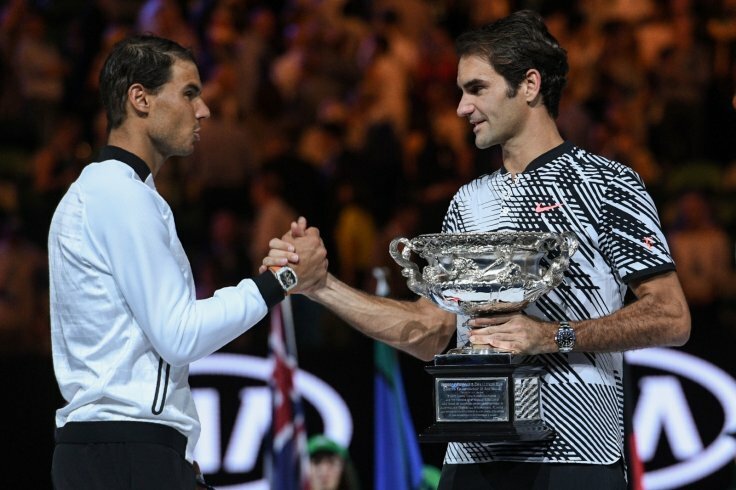 While we can’t put off the Legends like Federer and Rafael Nadal from the contention, it would be interesting to see how they would combat against the Dominance of the Big Serbian. Looking at the Women’s event, Serena Williams , after her brilliant display at the recently Concluded US open championship being a runner up, would love to come again like a wounded tigress to reclaim the lost legacy against the other women players. There are a number of other players who are in contention of the Australian open championship apart from the big names like Federer, Nadal and Djokovic. 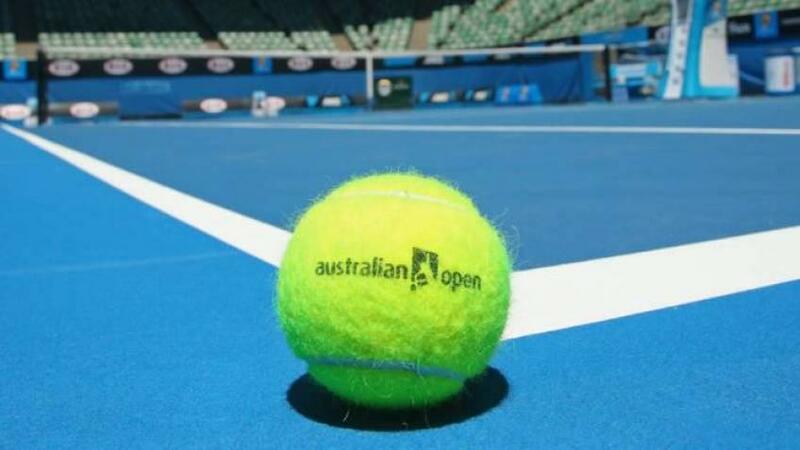 Players like Dominc Thiem, John isner, Alexander Zverev and Denis Shapalov can certainly been names as the legend killers in the upcoming edition of the Australian open. In the Women’s event, the US open champion of 2018 Naomi Osaka would present her contention with full spirit in the Australian open as well. Other young players like Jelena Ostapenko, Daria Kasatkina can’t be written off by any means.